Servicing Beenleigh to Tweed Heads and all areas in between Gold Coast Stump Busters specialise in dangerous and difficult jobs. 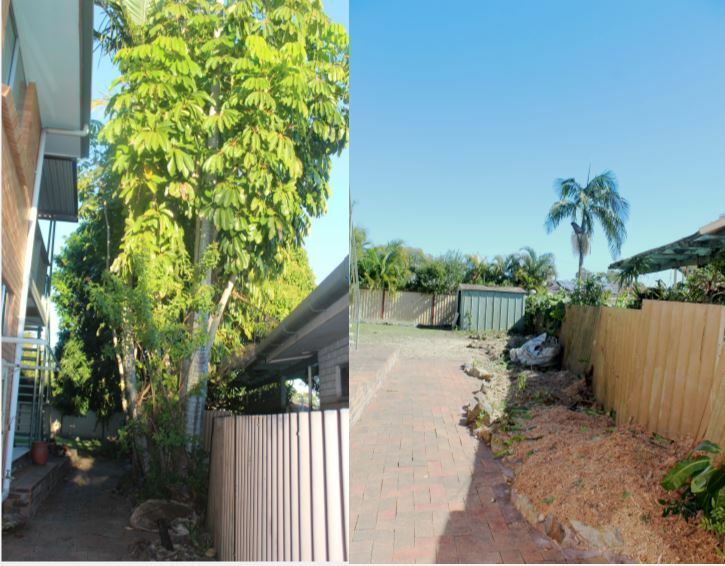 With 15 years experience on the Gold Coast in everything tree related you can feel safe with the knowledge, your property will be safe with this highly skilled and qualified team. There is no job too big or too small for this professional team. 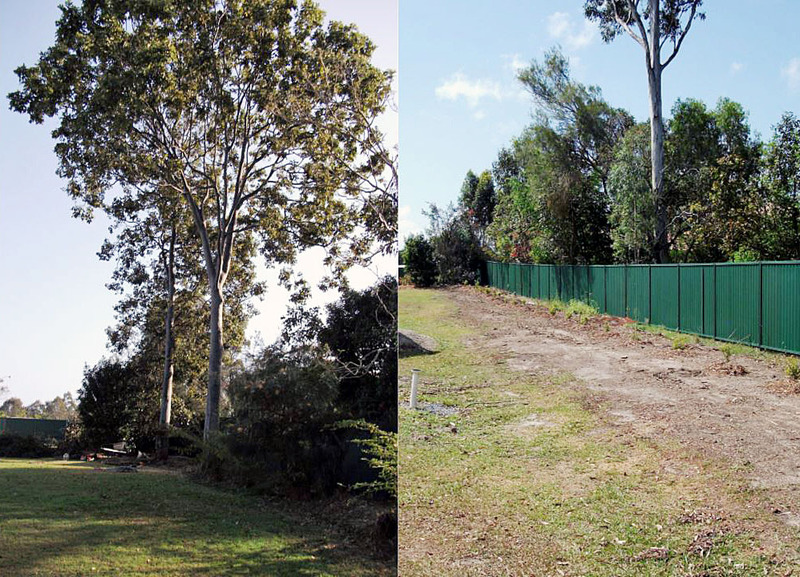 With a mobile service travelling from Beenleigh to Tweed Heads and a vast customer base comprising of small private houses, real estates, body corporates right up to large construction companies and all levels of government you can expect to get a professional and quality job every time. Call Jake our head arborist today for a free site assessment. 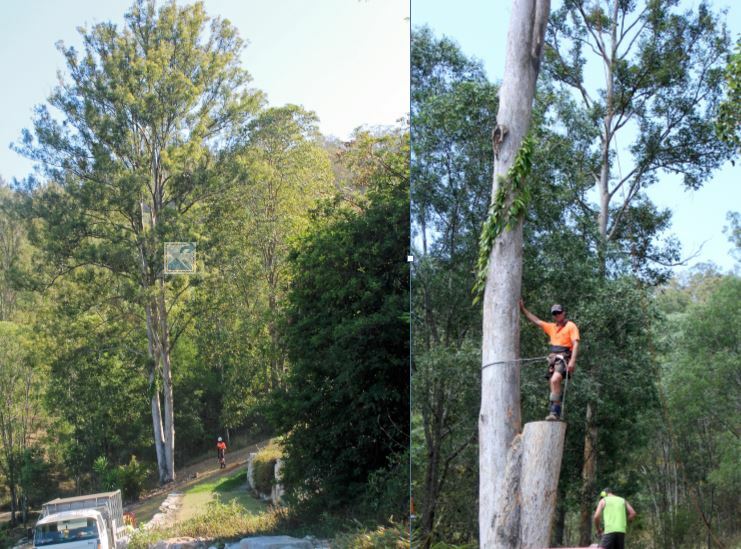 A large and difficult tree expert there is nothing that Jake has not climbed and dismantled safely for his many repeat Gold Coast customers. Your trees and property are in safe hands with him. A recent upgrade to our equipment allows you to have peace of mind that your tree works will be completed in a safe and timely manner. A brand new 18-inch Bandit wood chipper and 18 cubic meter Hino tipper truck ensures a quick and reliable job every time. 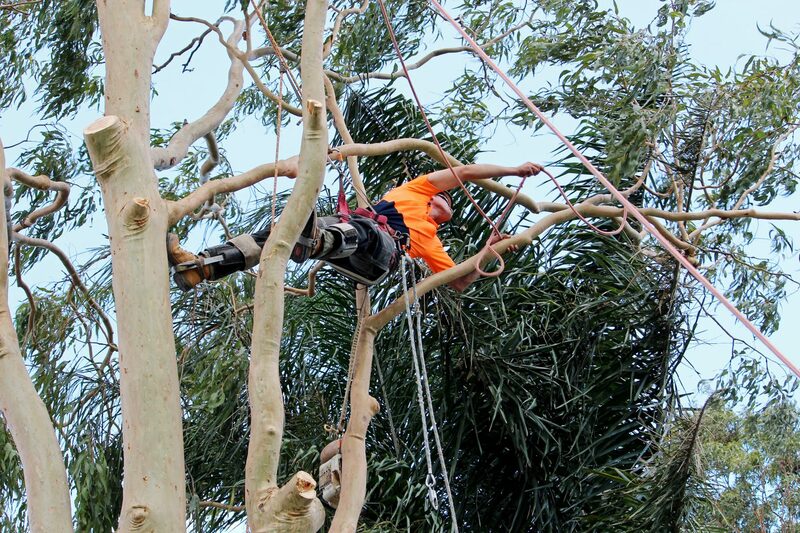 With a team of qualified Arborists, your tree trimming and pruning needs are in good hands. From Palms to Fig trees to 40 meter Gum trees. Feel comfortable in the large knowledge base of our experienced team. 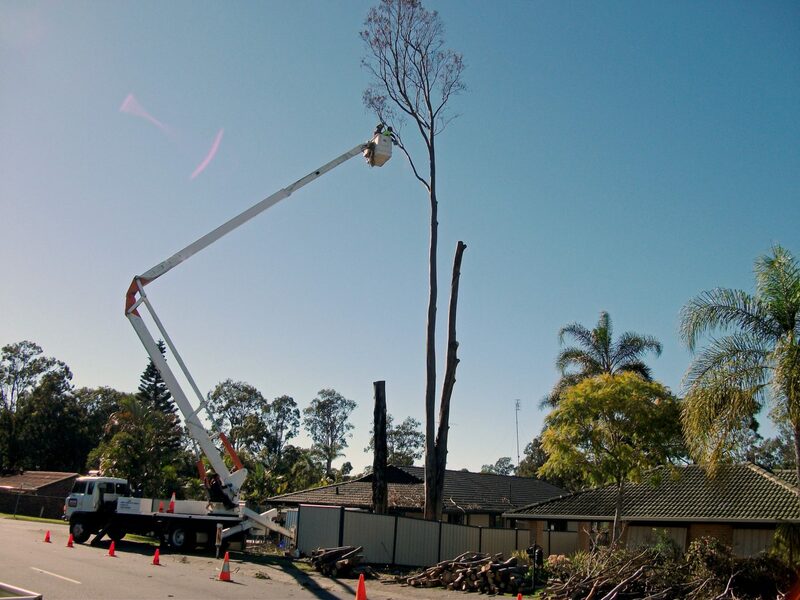 We are a long and well established Tree and Stump removal business operating on the Gold Coast. Take a look at some of our projects, ranging from small-scale backyard clean-ups to large-scale civic work. 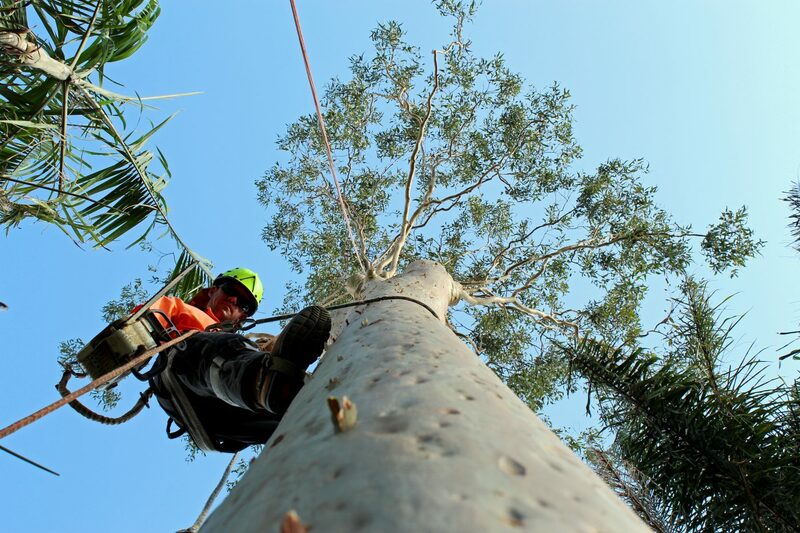 Jake or head Arborist from Gold Coast Stump Busters climbing and dismantling a large Gumtree at a prestige acreage property in Guanaba. This large 45 meter Gum required lowering near a house and garden. Jake can be seen in the video climbing and dismantling the tree safely to ensure no damage was done to property and no people were ever in danger. 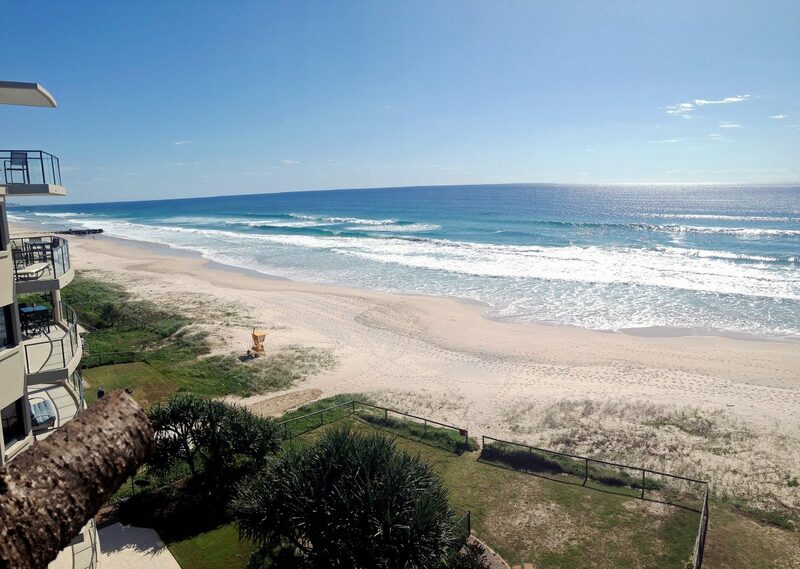 One of the plus sides is what a fantastic view Jake had for the day. Another ecstatic customer with Gold Coast Stump Busters.